The game that was held as a side event at the LA Poker classic event of World Poker Tour, usually such an event includes $40,000 as prize money and hardly makes an effect on the poker community. However, this side event was made special as two stalwart players were invited to play. Simply seeing these two rivals pair up against each other made the event special. Many logged on to check out the event. The rivals played the Omaha Hi Low/Stud Hi Low event. It definitely delighted many fans who tuned in or turned up live to watch the game. 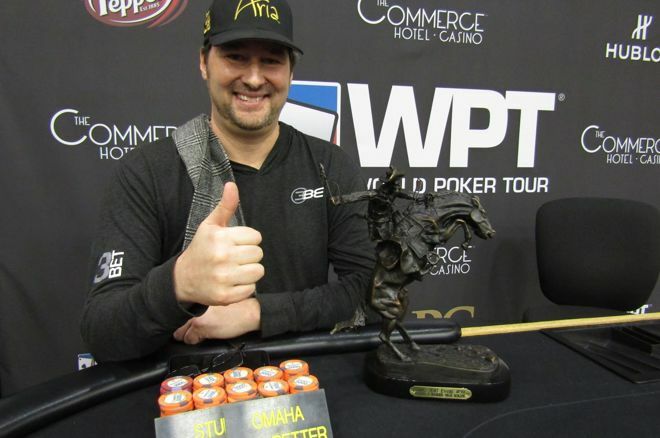 Hellmuth is known to have made about 21 million dollars in live poker, cash events while Matusow’s earnings are about ten million. Many felt that the event was out of the glory days of televised poker shows. Though the monetary stakes were negligible, it was a chance to see the old pros battling it out and how good their hands were still in the game. Both players have played games for high stakes that have involved about thousands of dollars for each hand of the game. Both navigated to the final table from a field of 72 players. Hellmuth was tied in the leading chip position while Matusow was holding a short stack of chips. Even John Cernuto was part of the final table, but he got busted out of the game. The finals were on between Hellmuth and Matusow till the end. The Poker brat was able to hold out to the end while Matusow, aka the Mouth had to give in the end. Hellmuth held onto his leading position till the end. The game was an entertaining one for the fans to watch for sure.